OTTAWA -- The Trudeau government will not extend Canada's peacekeeping mission in Mali despite a direct appeal from the United Nations for it to stay longer to prevent a gap in the provision of lifesaving medical evacuations. Speaking to reporters at the end of a major peacekeeping conference in New York, Foreign Affairs Minister Chrystia Freeland said Canada committed the military to being in Mali for one year -- and that is what it will do. "It is important for us to keep our word," she said. "To keep our word to Canadians. To keep our word to the UN. To keep our word to partners around the world. And to keep our word to Mali. And that is exactly what we have done. "We said we would be in Mali for a year, and that's a commitment that we will keep." Yet the decision is unlikely to sit well with the UN and some of Canada's partners in Mali, where Canadian Forces helicopters provide emergency medical evacuations to injured peacekeepers and UN staff since August. 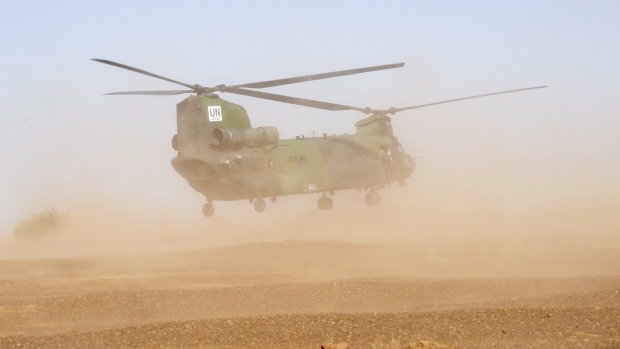 The eight Canadian helicopters and 250 military personnel in Mali are scheduled to cease operations on July 31, but their Romanian replacements won't be ready to take over until mid-October. During the opening session of Friday's peacekeeping summit, UN Secretary General Antonio Guterres praised Canada for leading an initiative aimed at increasing the number of women peacekeepers deployed around the world. Canada pledged $15 million to the so-called Elsie Initiative, part of a package of financial commitments totalling more than $45 million for UN programs and peacekeeping missions. But UN officials had been fervently holding out hope that the Trudeau government, which has repeatedly asserted its support for peacekeeping over the years, would agree to their request to extend the Mali mission. The UN wrote a letter last month in which it asked the government "to consider a short extension of its contribution," specifically to continue full operations until Sept. 15 and more limited operations until the Romanians arrived. 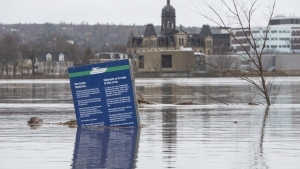 The organization had asked for a response by last week, but Canada asked for another two weeks to consider the request, which appeared to have bought it time to put off any announcement until after Friday's peacekeeping summit. Freeland's office had ignored repeated questions about the UN's request in the week leading up to the summit. The Liberals have argued the UN can fill the gap between the departure of the Canadians contingent and arrival of the Romanians with civilian contractors, as it has done in the past. They have also suggested Canada is actually supporting the UN by sticking to its schedule to end operations at the end of July, while downplaying the UN's concerns about the gap. The UN, which has faced shrinking budgets for peacekeeping, says a short extension by Canada would be more cost efficient given that Canada already has the people and equipment in Mali for the mission. Civilian helicopters also aren't able to provide the same level of comprehensive medical treatment the Canadians are set up to offer, the UN has said, and are more restricted in when and where they can operate. Critics have pointed to the Liberals' refusal to extend the Mali mission as emblematic of the government's failure to make good on its larger promise to support the UN and peacekeeping. "We rush to help Latvia, Ukraine and Iraq, but not Mali," said University of Montreal peacekeeping expert Jocelyn Coulon, who advised Freeland's predecessor as foreign affairs minister, Stephane Dion. "This is a betrayal of the peacekeeping policy this government adopted in the summer 2016. ... Why is it so difficult to help bridge the gap between Canada and Romania in Mali for two months?" Freeland insisted there is a "real appreciation for Canada's energetic engagement in peacekeeping here from the UN and from our partner countries," adding the government is working with Romania to ensure a smooth handover.